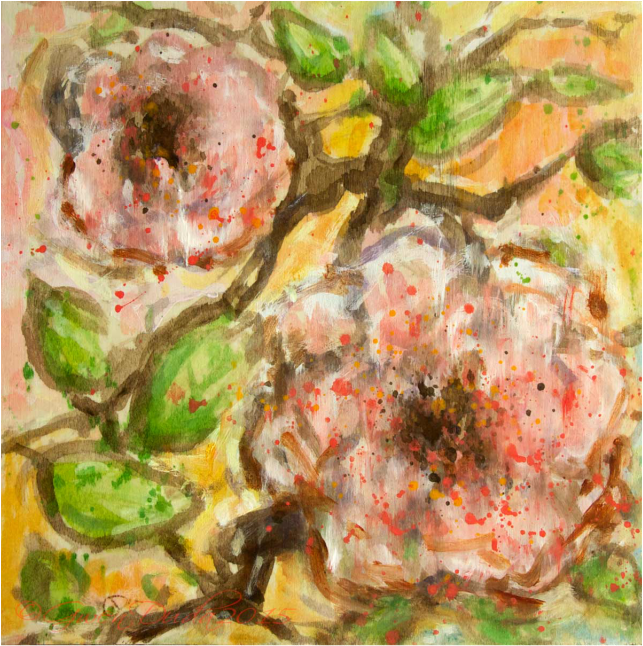 Creamy and dreamy this pink coral floral painting has the warmth of real wood coming through in this watercolour and acrylic original painting. Lost and found brush edges coupled with a watercolour treatment of the leaves and branches gives it an almost oriental impressionistic feeling. Sides of the wood panel are left untreated for an light aesthetic effect.